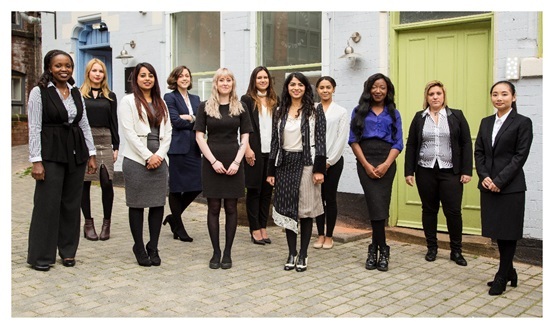 Nottingham immigration law firm, Paragon Law, has appointed Emma Okenyi, Decla Palmer and Karen Rimmer to start training contracts at the firm. Meanwhile, Charlotte Roberts and Jo Long have joined the expanding corporate immigration department as legal caseworkers. Emily Bodden-Burton has passed the Law Society Level 2 immigration law accreditation and has been promoted to a senior caseworker. Maaria Mahmood has been promoted to legal secretary in the personal immigration department whilst Holly Costema has been promoted from legal secretary to the finance department. She added: “I am particularly delighted with our strong relationship with the two universities in Nottingham with six of the recruits coming from there. We are not only doing our share to recruit talent into Nottingham but also ensuring that it is retained after graduation”.